As an incoming transfer, you will complete a UB Seminar in your first semester at UB. To determine whether you are required to take a 3-credit UB Seminar "199" or 1-credit UB Seminar "198", refer to step 1 below. You may also be ready to take one or more Pathway courses in your first semester. Follow the steps below to become more familiar with these components of the UB Curriculum and learn how to enroll in these courses. If you have fewer than 45 domestic credits prior to entering UB, you will take a 3-credit UB Seminar (199) and should select a topic based on your interests. If you have more than 45 domestic credits prior to entering UB, you will take a 1-credit UB Seminar (198) and should most closely align your selection with your field of study. For assistance in determining your placement into a 3-credit or 1-credit UB Seminar, please contact your Academic Advisor. 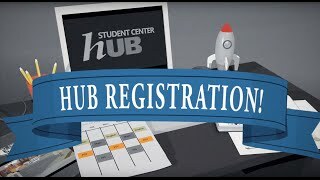 Once you have identified your top UB Seminar choices, visit myub.buffalo.edu and click on the HUB Student Center to view your existing class schedule and register for your UB Seminar. You will see your current list of courses, including the days, times, location and instructor of each course. For the best selection of UB Seminars, register immediately after your have received your class schedule from your advisor. The Pathways are a series of courses linked together by a broad topic that you choose and examine through multiple perspectives. You will complete one Thematic and one Global Pathway. Your transfer coursework may be applied to List 1 and List 2 courses in each Pathway either by direct articulation or with a transfer course that has a related UB Area (e.g., Humanities, Arts, Social Science, Language or Civilization and History). The List 3 courses are generally completed at UB unless you have a course with a direct articulation to one in the list. If you are an advanced transfer student who has four UB Areas completed with transfer coursework, you will want to approach the Pathways by first looking at the broad topics available and then investigating the courses in List 3 to see which best suit your interests and academic plans. Your academic advisor can assist as you make your initial plan. You may be advised to start your Pathways during your first semester, taking one or more courses toward completing your Global or Thematic Pathways. To begin planning your Pathways, go to buffalo.edu/pathways and use the interactive Path Finder tool. 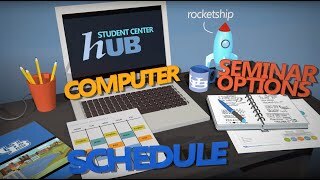 Every transfer student will take a UB Seminar (198 or 199) and the UB Capstone (UBC 399)-these courses are unique to UB and will serve as the bookends to your UB Curriculum experience. Your transfer coursework may be applied to some or all of the other components of the program, based on course articulation. Using TAURUS and your transcript(s), you will be able to map your prior work to the courses that comprise the Foundation and Pathway components of the program. View the UB Curriculum charts on the Transfer Course Articulations page for more information.